Here’s a good news to all Touch Mobile subscribers who love to subscribe mobile internet promo using their prepaid SIM. You can avail the new and latest TM EasySurf offers that is now available nationwide. If you do not have a Wi-Fi connection at home, this is the best option you can register to access Facebook, Twitter, YouTube, Google and other apps that require an internet connection. You can also choose apps access freebie when you subscribed from EasySurf15 to EasySurf999 promo. Freebies include, Arena of Valor, FB, Viber, Snapchat, Viber, Spotify and online games (e.g. Mobile Legends, Clash of Clans, Pokemo Go, etc.). Registration process is very easy and quick. You just have to reload your TM Prepaid SIM (upgrade to LTE) with the amount of your desired Easysurf promo denomination. See list below for your reference. Send the keyword to 8080. Ex. 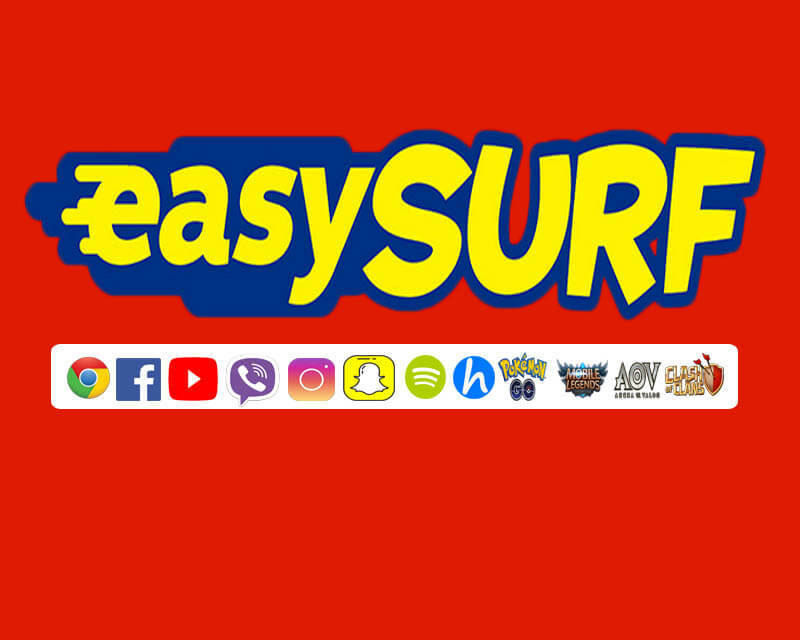 EASYSURF50 send to 8080. Apps* FB, Twitter, Instagram, Viber, Snapchat, Games (Mobile Legends,Arena of Valor or AoV, Pokemon GO, Clash of Clans and Clash Royale), YouTube & Dailymotion, Spotify, or musical.ly; HOOQ and Disney are available freebies for EasySurf 599 and 999. Ka-TM! Mag-FB, manood ng videos, mag-surf online, at maglaro ng games gamit ang EasySURF! Meron ka pang freebies tulad ng Facebook, YouTube, Arena of Valor, Viber, Twitter, at iba pa. Para sa listahan ng EasySURF promos, i-text ang EZ MORE. Para sa listahan ng freebies na kasama ng EasySURF, i-text ang EZ FREE. Para sa status ng iyong EasySURF promo, i-text ang EZ STATUS. Para sa status ng freebies mo, i-text ang EZ STATUS (ex. EZ50 FB STATUS). Para itigil ang iyong promo, i-text ang EZ STOP. I-send sa 8080. Regular browsing rate ang charge kung hindi ka naka-register sa surf promo. Keywords or code to check your balance, status, how to stop and other information about this promo are provided on message above.